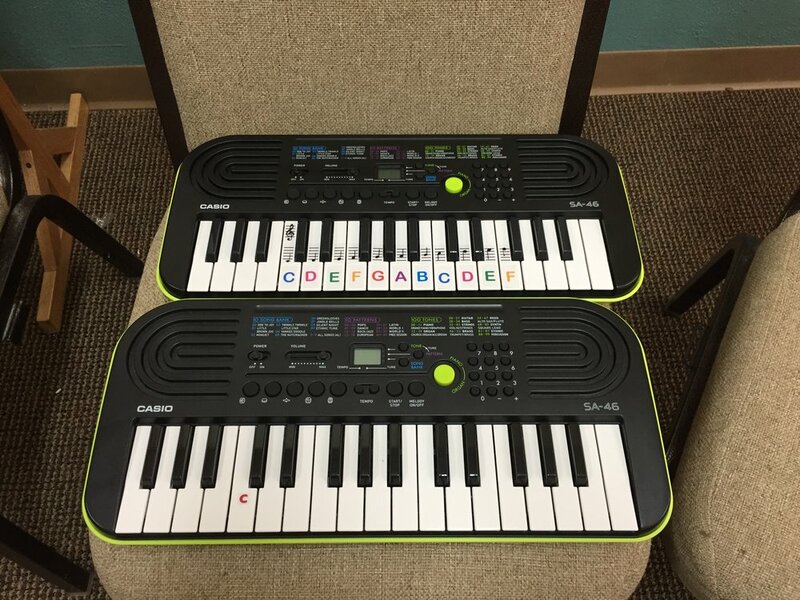 We have progressed in our music fundamentals to the point where I’ve once again introduced inexpensive small keyboards to the kids. To several of the keyboards, I have added note names and staff locations. However, some of our kids are taking private piano lessons. That extra information is not beneficial for them. All they need is to know where “middle C” is located on these small instruments. To date, we have only been playing short exercises. Soon, we’ll be introducing songs for them to play. It is a tactical method of musical learning, and the kids really seem to enjoy it.